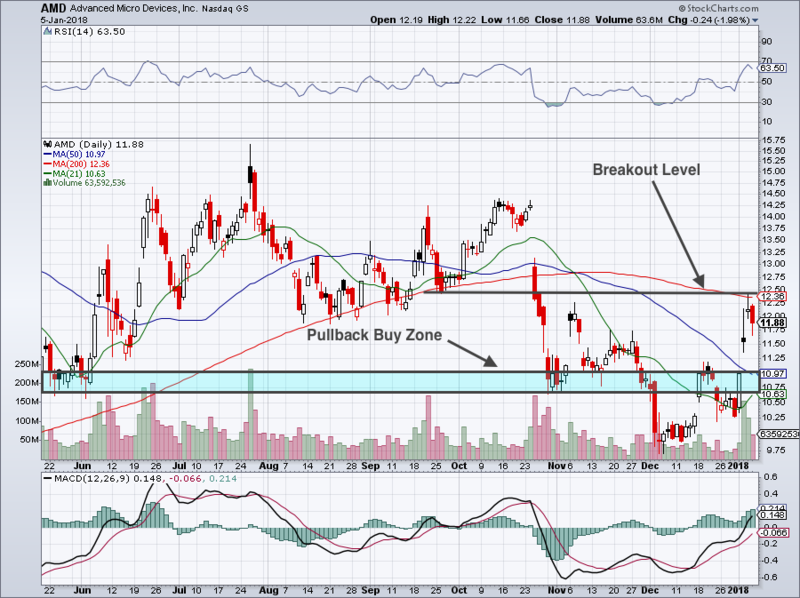 Home / Stock Picks / Hot Stocks / Is Advanced Micro Devices, Inc. Stock a Screaming Buy Thanks to Intel? Is Advanced Micro Devices, Inc. Stock a Screaming Buy Thanks to Intel? Depending on how serious a flaw there is with Intel Corporation (NASDAQ:INTC), it could open a window for AMD and that would allow the recent momentum in AMD stock to continue. So what’s the skinny? Essentially, there was a security flaw in Intel chips. The bugs, known as Meltdown and Spectre, effect everything from Apple Inc. (NASDAQ:AAPL) iPhones to Alphabet Inc (NASDAQ:GOOGL) and its Google Chrome browser. The issue also had an impact on Google Android devices, Microsoft Corporation (NASDAQ:MSFT) Windows and even the data center services for Amazon.com, Inc. (NASDAQ:AMZN). For AMD’s part, the company said that there’s a “near zero risk” for its chips as a result of Intel’s security flaw. From an investment standpoint, shares of INTC have been falling while AMD has been rallying on the theory that, going forward, AMD chips will be the more attractive option. As much as I want that to be the case for AMD, I don’t know that it will be the end result. Although admittedly, this certainly doesn’t hurt Advanced Micro Devices stock. Patches are being put in place by MSFT, AMZN, GOOGL, AAPL and INTC. Many have already been put into action and the companies say customers remain safe at the moment despite the vulnerability, so long as they update their products. The concern for AMD stock is whether this news justifies a 16% rally in the stock. Should it not impact INTC’s long-standing relationships or hurt sales, then there won’t be any real impact on AMD’s business. It’s even possible that it will push buyers away from INTC and over to Nvidia Corporation (NASDAQ:NVDA) rather than AMD. This isn’t a zero-sum industry, nor is this a zero-sum event. We don’t know how much of an impact this INTC news will have on AMD stock. We don’t know if it will have any impact at all. But that doesn’t mean there isn’t reason to like Advanced Micro Devices stock nevertheless. Granted, with shares now trading about a dime below $12, AMD was more attractive a month ago near $10. That has been the theme, though. Buy on sharp pullbacks and sell on rallies. 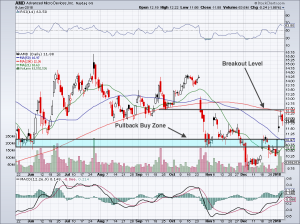 Until AMD stock breaks out (more on that in a minute) we have to stick with the trading ranges we have. But AMD stock is more than just a trading vehicle. For investors who can look beyond the next one to three months, there’s a really viable business here. The company remains well-positioned in key growth markets. Ranging from video games to graphic chips, vehicles and the cloud. 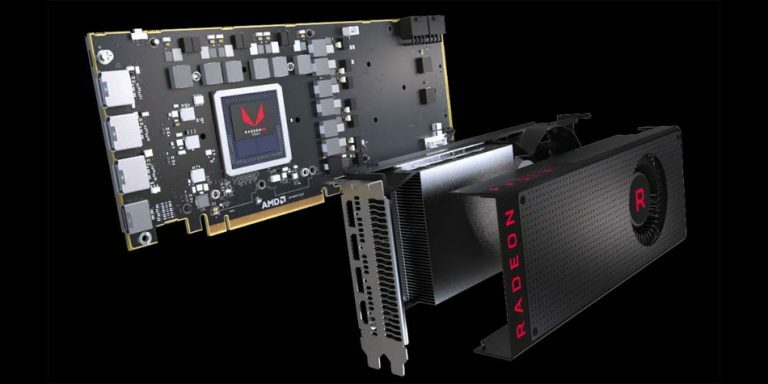 While many view Nvidia as the top chip, AMD isn’t a bad alternative. Besides, business is coming along as well. After years of losses, Advanced Micro is looking to turn a profit in 2017. While analysts forecast just 13 cents per share in earnings for fiscal year 2017, that’s up almost 200% year-over-year. They further expect 177% growth in 2018. Revenue growth of 23% in 2017 is forecast to slow to just 12.3% in 2018. The positive here is that profitability is expanding much faster than revenue, meaning margins are moving in the right direction. If AMD can turn cash flow positive, I think shares can really start to gain some upside momentum. That should be the case as revenues churn higher and profitability explodes. It helps that between the three — NVDA, AMD and INTC — Advanced has the lowest sales-based valuation. Since we don’t know the full impact of INTC, AMD stock could have limited upside in the short term. The 200-day moving average near $12.40 is acting as resistance. Should it give way, $13 and above becomes the new target. But given the recent rally and current resistance, investors should be more prudent. Either wait for a breakout and close over the 200-day moving average or look for a pullback down toward $11. I am hoping for the latter, as I’d like a lower cost basis on a longer-term position. Article printed from InvestorPlace Media, https://investorplace.com/2018/01/is-advanced-micro-devices-inc-stock-a-screaming-buy-thanks-to-intel/.